German company Clearaudio have announced the Absolute Phono and Absolute Phono Inside, a novel new phonostage solution. With current phonostages the output signal generated within the cartridge has to travel down the tonearm wiring and along the external arm lead before it reaches the phonostage, at which point it is amplified and then equalized before being fed out to the preamplifier. This signal is both very small and very sensitive, hence susceptible to electrical interference at all stages of its journey from the cartridge to, and through, the phonostage. 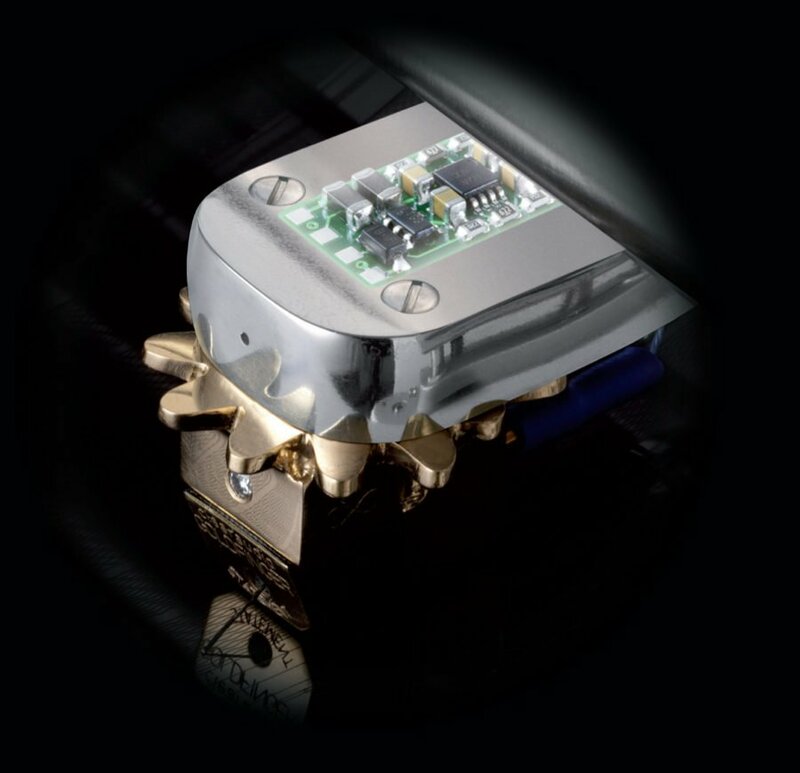 The Absolute Phono is the world’s first active headshell moving coil phonostage, in which the input to the phonostage is mounted within a specially modified tonearm headshell. A tiny amplifier fitted within the headshell boosts the output signal from the cartridge at source. Now the signal only has to travel 1-2 centimetres rather than along the usual 1-2 metres of internal and external arm wiring before being amplified to a more resilient level. This amplified signal then passes to the specially designed main RIAA phonostage, along a signal path free of the usual relays and coupling capacitors, which enables a “more clean, pure and accurate sound”. The signal is then equalized and fed to both unbalanced RCA and balanced XLR outputs, each with its own output driver. The Absolute Phono is compatible with any tonearm in the current Clearaudio range. Customers who already own a Clearaudio tonearm can simply send it to Clearaudio for customisation on purchase of the Absolute Phono. Clearaudio’s realise that not everyone has, or is currently ready to invest in, a Clearaudio tonearm and so the Absolute Phono Inside was realised. It uses the Absolute Phono’s circuit design but incorporates it within the phonostage’s main body. The secret weapon say clearaudio is current amplification. “Current amplification alleviates the need for cartridge loading at the input stage and also eliminates the usually required capacitors and resistors at various points through the signal path. The signal to noise ratio is significantly enhanced, almost matching the headshell-mounted Absolute Phono’s ten decibel improvement and enabling a freer and more natural sound” say Clearaudio. Available now in black or silver.